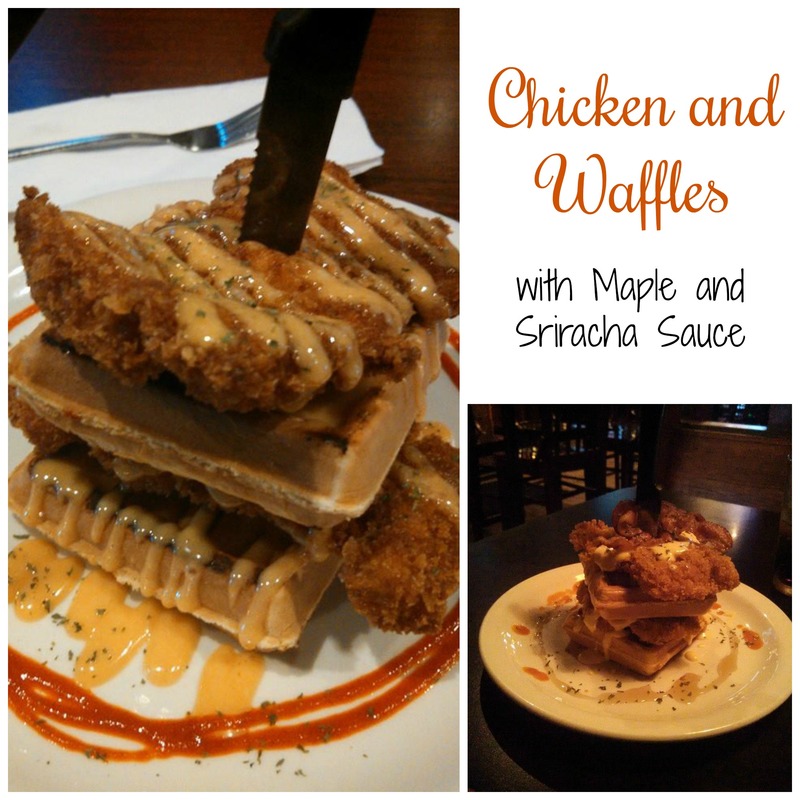 The first time one of the local barbecue restaurants advertised having chicken and waffles on the menu, I felt my stomach lurch and shuddered. That just sounded gross. When I was in Chicago for a Pearl Jam weekend, we did stop at one place for breakfast that had them featured on the menu. Honestly, I can’t remember if I tried them or not. So they must have been quite uneventful. A couple of tweaks were made over time and the chicken and waffles quickly became the hot seller on their new brunch menu. Popularity increased so much that they are now a staple on the regular menu, as well. And seriously, they are so worth it! 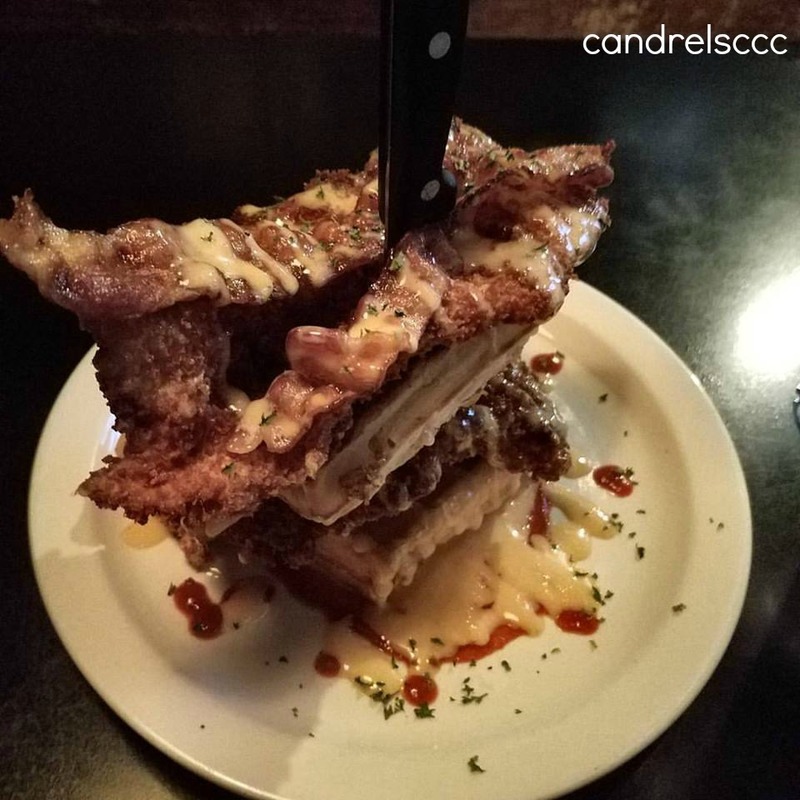 On one recent visit, they even had a special where they added layers of bacon to the whole thing. Bacon. Need I say more? Want to make these at home? I can’t divulge all of the secrets behind this luscious plate of brunch goodness, but I can share a few tips with you from the creator. Use chicken thighs. Part of this rationale in a restaurant is being able to save a little bit of money and thus save the customer a bit of money. But who doesn’t want to save money at home, as well? Thighs are a little darker than breast meat, but substitute well. They’re still good for you, much more flavorful, and cook faster. Use panko bread crumbs. Traditional bread crumbs are great, but there’s something about the flavor of the panko bread crumbs and the fact that they seem to make for a crispier chicken. They also work whether you are frying or baking the chicken. Balance the savory and sweet. Experiment to find the balance that best suits your personal palate. Like I said earlier, I am not one who really enjoys a lot of heat, so I like a little bit less sriracha sauce than others. Some people like a lot of heat and would prefer that over the sweeter sauce, though that sweet sauce does have a little kick to it. (And no, I cannot divulge the secret ingredient of that particular sauce, but I am sure you can find something that you would like!) Also remember that you are likely to serve this with maple syrup to drizzle on top. Layer the goodness. Use thicker waffles to provide more support and to be less likely to get soggy. 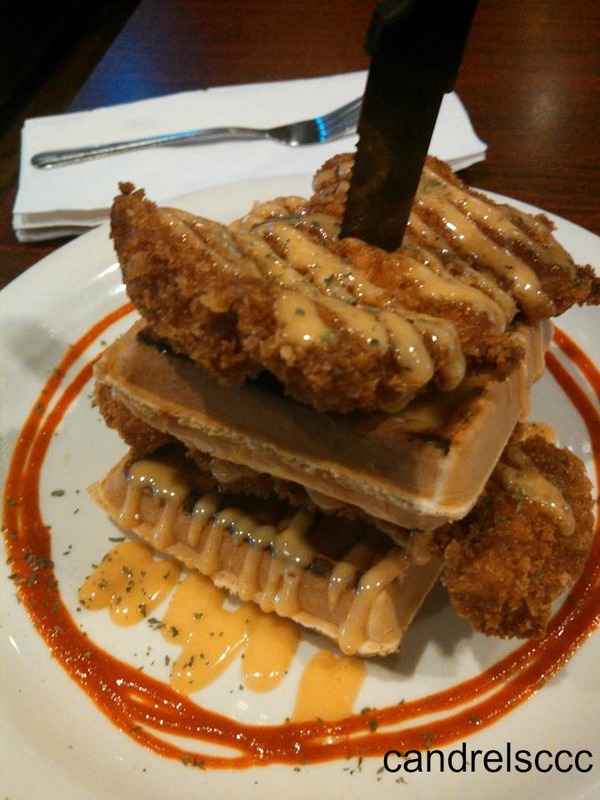 Put one waffle on the bottom with a bit of your sweet sauce. Add a chicken thigh on top with your sriracha. Make one more layer on top. You want that sweet and savory to mix all the way through for sheer gustatory delight. 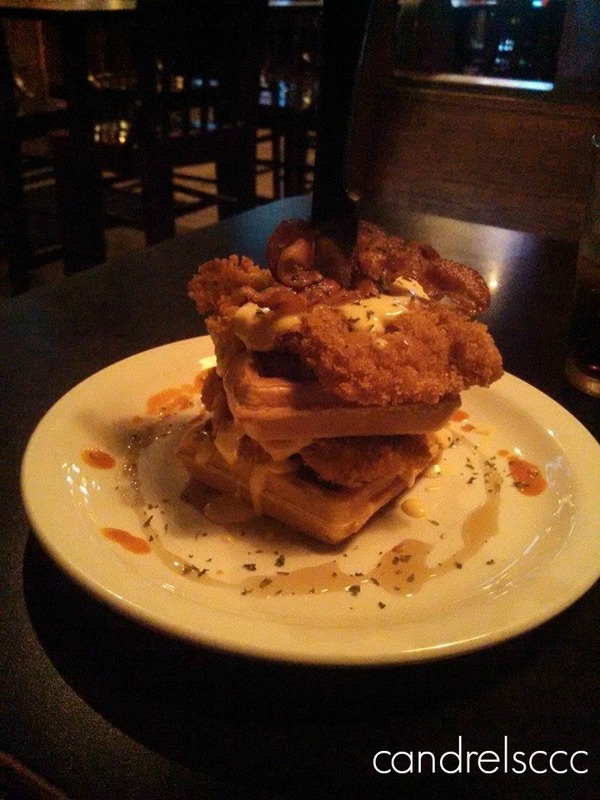 So have you ever tried chicken and waffles? How were they made? What is your favorite way of eating them?